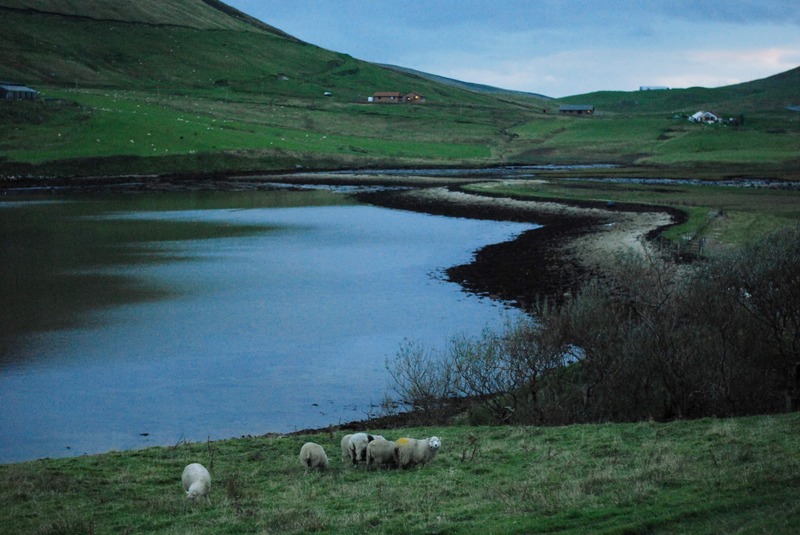 This image was taken by photographer Jeni Reid, when she was in Shetland last year for wool week. Jeni said she was struck at how the shore line looked like the knitted edging of a hap shawl, in natural fleece colours. I love how this image captures the natural old shale curves of the shoreline, but I adore how Jeni has captured one of my favourite times of day in the early autumn, (a very short season here in Shetland) when dusk comes in and all the greens look really GREEN. It only looks like that for a short time before the darkness comes down and I always feel its a really special moment when I get to catch it happening. We used this image for Wovember last year, but I remember that I saw this image on Jeni’s Instagram during Wool Week (follow for beautiful photography and a healthy dose of cat images) and it was posted about two days after I had decided that in 2015 I was going to host a Hap-KAL on KB. At that time I was quite struck on using a natural sheepy rainbow of colour. …currently I am still thinking about colour. I will be stash surfing for my hap and have plenty to choose from….better get choosing, eh?! Thanks so much to Jeni for letting me share her image. I was also very inspired this week to hear that Deb, from Fondant Fibre, is spinning British breed yarn for her hap. I think we have three or four spinners in the Hap thread on the KnitBritish Ravelry group who are spinning their own yarn for their haps, but when I saw the fibre that Deb was spinning with my KnitBritish heart did cartwheels! Deb has two packs called the Natural Selections and they are brimming full with 200g of mixed fleece – what she calls a totally awesome group of sheepyness – even more awesome because they contain some British breed yarns and also fibre from sheep on the RBST watchlist, as well as ‘lodger’ breeds like Gotland and Corriedale, that have made their homes in the UK. Natural Selection A consists of: Gotland; Whiteface Woodland (vulnerable breed); Moorit Shetland; Southdown; Suffolk; Dorset Horn (minority breed); black Jacob and Cheviot. Pack B of the Natural Selections contains 200 g of Corriedale; Devon; Swaledale; Massam; Herdwick; Romney; Black Welsh and Texel. 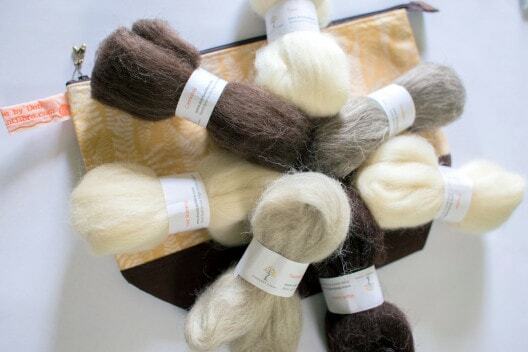 Often I get asked where people can find taster selections of British breed yarns to try, if you like spinning then this is definitely a good way to explore the different fibres out there in the UK. Unbelievably, as I was writing this the postman knocked on the door and delivered a surprise from Deb. This very pack of fibre! Immediately I had to get my hand in the bag for a squish. The textures of these fibres are truly exquisite and I think a lot of the people out there who deem breed wool as scratchy would be very pleasantly surprised! I can’t wait to see Deb’s lovely handspun British breed hap! The lovely Deb is also offering KnitBritish readers 10% off in her shop Fondant Fibre with the code MORESTASH. Thank you so much to her for that lovely gesture. Anyone still have time to spin for their hap? You have a great incentive now! Cast on date for the hap-along is creeping up and the 10th April will soon be here. If you are joining in with KAL why not join us for a wee bit of a social media knit night on the 10th, from 7.00pm (UK time) . Get your knitting, a wee beverage, some nibbles and lets all knit on our haps together. Use the hashtag #HapAlong on twitter and instagram and we will all be connected. I will also open a thread on the Ravelry group. I don’t do facebook, but feel free to chat on there too. I may even have some (tiny) prizes (pin badge sized) for my favourite tweets at our knit night. There are over 500 posts in the hap interest thread and over 100 voices chatting in there from all over the world and so I know we will have a jolly good knit together and a lot to talk about. Love the idea of us all starting our haps together – I don’t do twitter or instagram, but I’ll be following on ravelry. I still have to go stash diving myself. I think I’ll be knitting the Hap Cardigan and have some lovely cream Blacker 4ply Alpaca for the main body – it’s just finding the right contrast colours. And to go all British of course! Like I needed another temptation to add to my stash. 😉 The wishlist is getting longer than my ability to keep up with it. 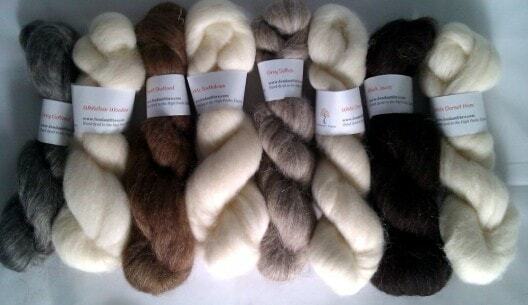 However, I have been spinning a lot this year and therefore have an excuse to buy more fibre. I think Fondant will be on a short list of must-tries and I’ve been wanting to do a breed-study. Irresistible now! Next PostFocus on Haps: too much inspiration!